Jesse Kropelnicki » Why Numbers? These are my top 4 reasons why this is the way to train if you are serious about improvement. 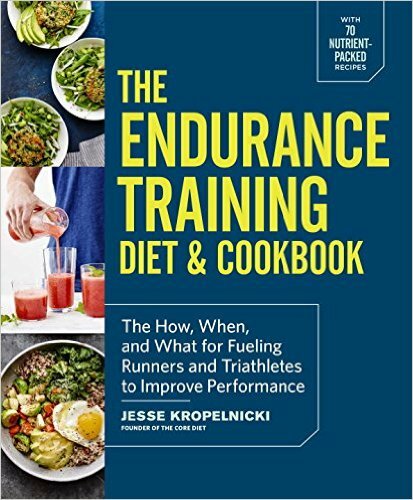 The alternative is to continue training with a fluffy, “hope what I’m doing in training is right and I hope there is magic on race day” approach. Sorry to be so forward with this but I feel it’s probably one of the most missed concepts by serious athletes and what typically separates the top of the field from the rest. 1) Never once with any of the athletes I have coached or do coach have I seen an athlete magically beat what their performance indicators (20 min wattage, 5k pace, 400 yard TT pace) tell us they should do. They are typically in-line with expectations unless slower because something went drastically wrong. Almost never faster. 2) Numbers provide focus in training. Focus is one of the keys to long term progress that keeps you pressing on your previous bests. Without numbers, your body wants to stay where it is so your training will do the same. You’re likely to go too hard on recovery days and not hard enough on key days. 3) Unfortunately there is no magic on race day. Typically folks who train and race by feel, believe there is some level of magic that will occur on race day…..this is simply not true. Knowing what you are capable of and executing that on race day accordingly will result in what’s expected based on your training. Unrealistic race goals that are pulled from thin air result in disappointing performances as well as detrimental pacing strategies. 4) Unfortunately, many people connect some emotional/personal basis to their goals (i.e., they just choose a race goal because that is the time they would LIKE to do with no real physical basis for that goal). That’s not what goals should be about and typically results in failure. The emotional/personal part should be executed in training as you make sacrifices to hit the goal performance indicator numbers you’d like to. Once race day comes, it’s about executing your plan and letting those numbers (the one’s you’ve created in training) unfold. Then, it’s back to the emotional/personal as you enjoy the result of your sacrifices. Sorry this paints such an objective picture of racing, but after 10+ years in the sport, I can tell you that there is no magic. The closest thing is the magic that allows age group athletes to work 40+ hours, take care of their children/family, and still train 25+ hours per week……that’s magic. How do you explain something like Michelle’s stellar marathon in IMAZ? That was determination–running on memory she had even though she had been injured for a chunk of time before race day. Training is and should be about numbers. I don’t disagree. But I think that the best athletes in the world have something else too–a belief and determination that has them excel beyond numerical expectations. There is absolutely something there Mary in terms of determination! That’s what allows them to get all of the training in and make the sacrifices from day to day that are required to make the stellar performance indicators (numbers) they need for the race perfromances they produce. However, when race day comes, there are no surprises. They just hit the numbers their training tells them they should. The key is that they make it further in training because of this “belief and determination”. Michelle is the perfect case, she spent hours and hour’s pool running (more than I could have bared I think) to keep her hip flexors fit to run a marathon off the bike (even with no running). This was our plan along with additional bike durability to be able to make race day happen. That took a ridiculous amount of determination and belief IN TRAINING. On race day we had a plan which she executed to the letter (nutrition and bike power protocol). This is what got her across the line. She is tough of course also but so are 90% of the folks out there on race day in IM. The difference is those who make the sacrifices in training to be prepared, understand what they can do on race day, and execute a plan. Belief and determination won’t have you beat what your training tells you should do on race day unfortunately. I’ve never seen it happen once…it just helps you meet what you should do on race day based on your performance indicators. When folks believe they can do better than their performance indicators tell them they should on race day, it results in a detrimental pacing strategy which typically ends with a poor, and disappointing result. Ah the case of magic as a matter of perspective! One person’s magic is another’s calculated outcome. I actually find the numbers thing magical. I followed the numbers Tim provided fairly closely (yes I had a cheat here and there). When race day arrived I achieved to my highest expectations despite having never actually done a workout that really simulated the challenge of an Ironman. You are very right about needing that cold dose of reality when setting your goals, but after that I just relax and enjoy. So from my point of view, the point of view of the naive idealist in me anyway, the magic was in the numbers. The program you guys provide produces a whole which is greater than the sum of its component parts. That’s magic. Fitting in the hours with work and family? That’s just a great spouse and a willingness to not have a life! I agree. That’s another great perspective!